Here at insureTAXI we can provide some fantastic rates on Weekly Taxi Insurance with high levels of cover. We know that your taxi can be your livelihood so we want to ensure you are covered at all times. 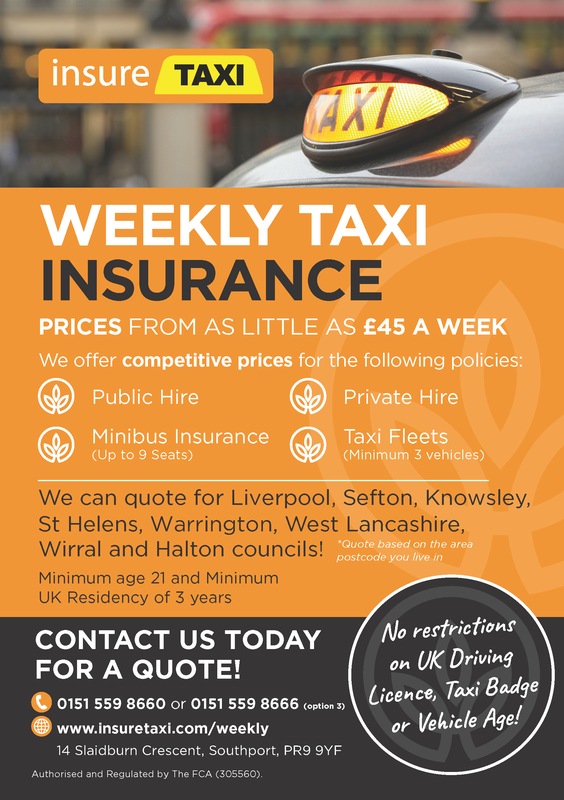 Get in touch today for more information on our weekly taxi insurance from the taxi insurance specialists!